You can join the Facebook page for announcements. Saturday May 28th at 9pm. At Amnesia 853 Valencia St. btwn 19th & 20th. San Francisco CA. Andrea Stray and Band, plus the New American Farmers. 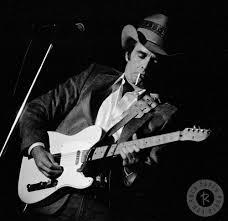 Merle Haggard's Birthday At Threadgills South at 3pm. 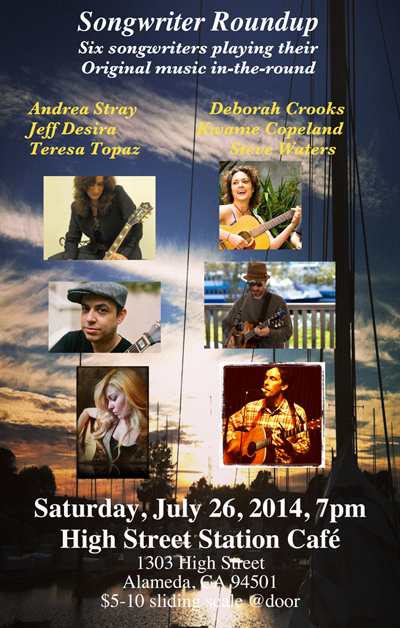 I will be singing a song with Merle's band of great musicians. Redd Volkhaert, Joe Manuel, Floyd Domino, plus many other guests. August 7th with Grace Askew from Memphis Tn. doors at 7 show at 8:00pm. 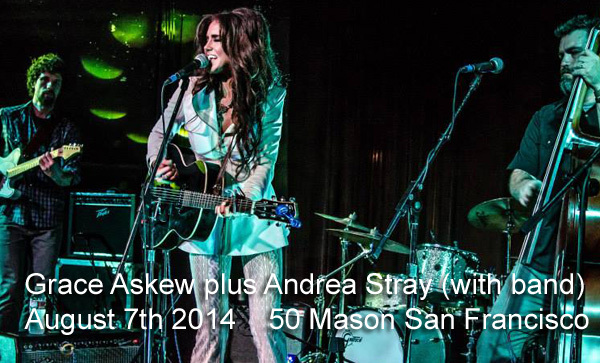 Saturday May 24th 2014 7:00pm at Ireland 32's 3920 Geary blvd. San Francisco. 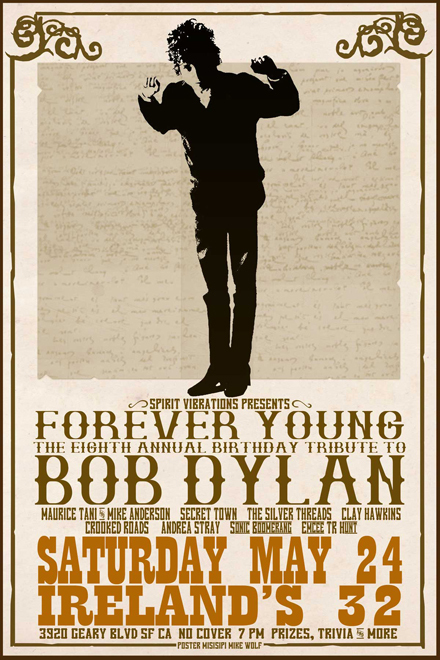 I will be playing a couple of songs at the Bob Dylan Tribute show. 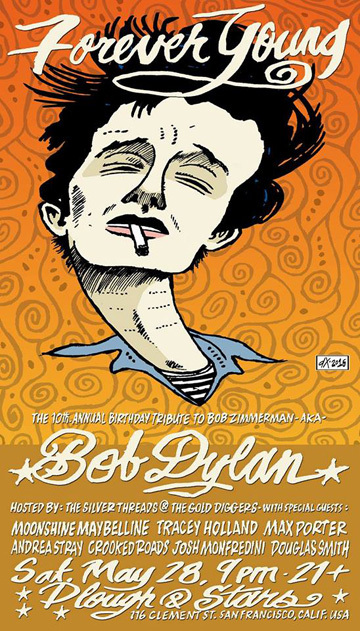 Bob Dylan turns 73 on May 24th. Come raise a glass and listen to your favorite locals cover his tunes. You never know who will show up. Starting early this year! 7pm. Free show! 21+ Performers include: Maurice Tani & Mike Anderson , Secret Town, Crooked Roads, Andrea Stray, The Silver Threads, and more. 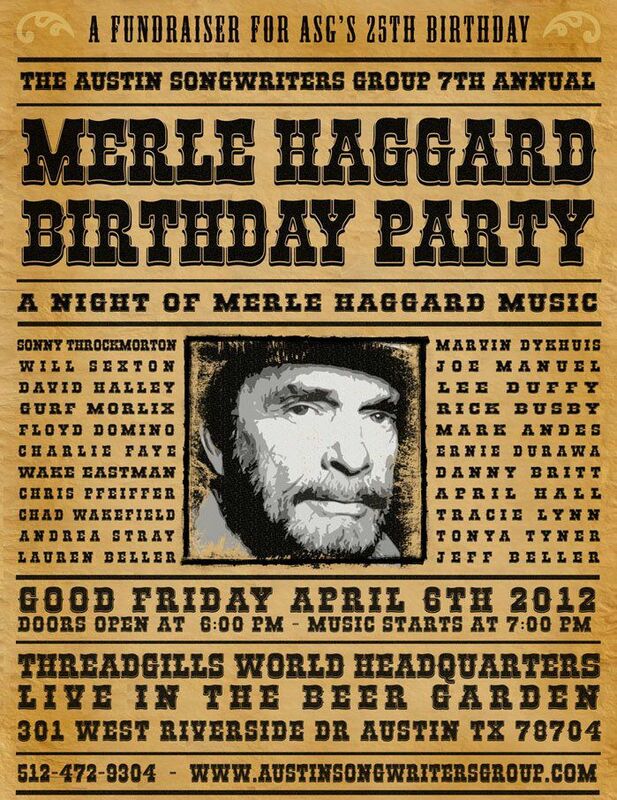 Merle Haggard's Birthday and the Austin Songwriter Group's 25th Birthday. At Threadgills South at 6pm. 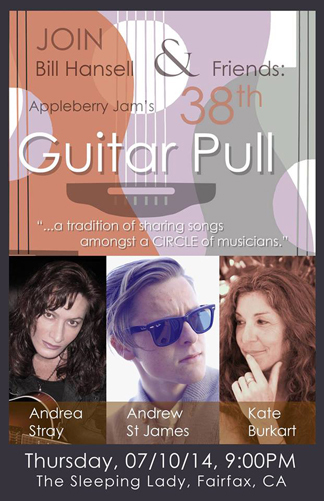 I am very excited to be sharing the stage with all these great musicians and songwriters. Redd Volkhaert and Joe Manuel ( Merle's Guitar players), Floyd Domino (Merle's piano player), Gurf Morlix, Will Sexton and so many more. Oct. 21st and 30th 2011.Threadgills, Austin Texas. 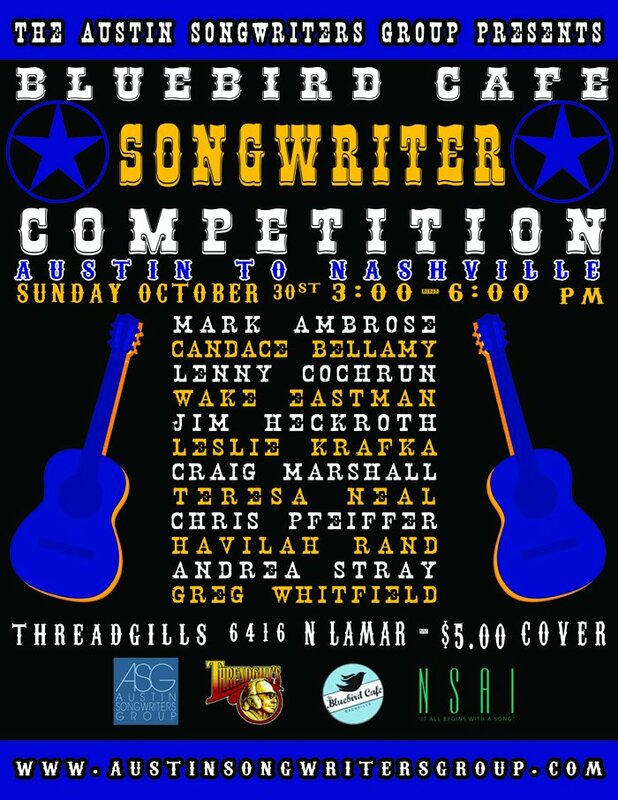 Austin Songwriters Group Buebird Cafe competition. 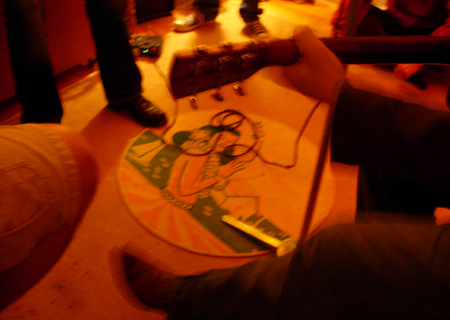 Thanks to everyone who came out to our show at Viracocha. Special thanks to all the great musicians who joined me. .